Although the day started out dark, dreary, and wet, the Icicle-lists gradually showed up to make this year’s Icicle a success. With temperatures in the lower 60’s and a heavy mist in the air it was a slower start to the day than usual for one of our major events. I noticed that after passing through Registration many of the cyclists seemed to hang around a little longer than usual before pushing off. I assume they were waiting on the weather and giving the roads a little more time to dry. By the time registration closed (9 am), the roads at Cherry Hill Middle School (CHMS) were dry and the temperature was up around 70 degrees. 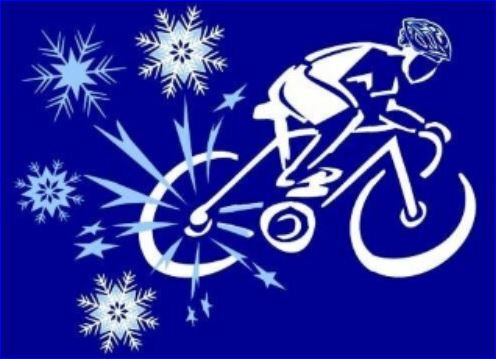 Perfect cycling weather for those who participated in the 44th Annual Icicle. We had a good showing for the first major fundraising event of 2019, especially considering it was raining when most were waking up Saturday morning. More than 100 cyclists took advantage of the pre-registration discounts and signed up via BikeReg.com. Another hundred or so cyclists passed thru the Day-of Registration line in the school, paid their fee using cash or plastic (yes, we do accept major credit cards now!) and watched silently (well, some did anyway) as our experts placed a wristband on the preferred arm of the rider, being careful to not make it too tight, or too loose, or trap any arm hair within the adhesive…a skill that was mastered rather quickly. Cyclists headed out on any one of three routes; green loop, yellow loop and red loop, all three of different levels of difficulty and length. The routes left the CHMS and being loops returned to the school allowing the cyclists to decide on their next challenge all while refueling on baked good, fresh fruit, and topping off the fluid reserves to thwart dehydration. Cyclists had the option on the day to do 13 miles, 24 miles, 31 miles, 37 miles, 44 miles, 55 miles, or 68 miles for a strong metric century. From the feedback received everyone likes this format and thought the roads selected were ideal for this type of early season event. Thanks go out to Icicle Event Director Brian Donovan who pulled together a successful event with the help of the many volunteers and bakers who prepared baked goods to refuel the cyclists. Great job by all! Next up – Doublecross Metric Century! June 29th out of Middletown High School!! See everyone on June 29th!! Be careful and enjoy the ride. ← Message From the President – The Icicle is Upon Us!